At Lampman Funeral Homes, we understand how difficult the funeral process can be, and so we pride ourselves in our thoughtful and considerate approach. Pre-emptively planning for your, or a loved one’s funeral allows room for ones wants to be fully realized. There is a lot more to the burial service than merely deciding a beautiful place to lay your loved one down to rest. Paying tribute to your loved one with a beautiful arrangement of flowers can be the perfect way to illustrate their colourful life. 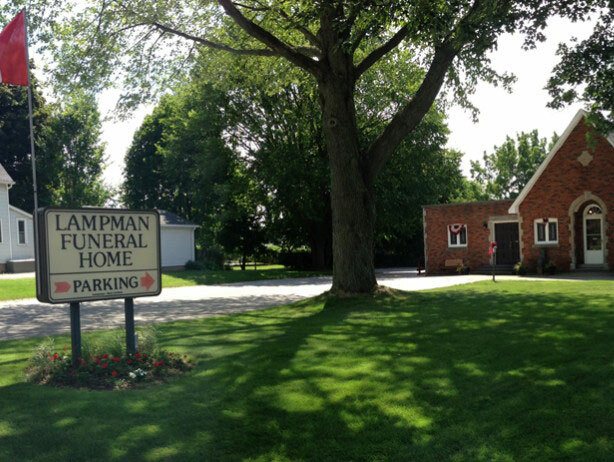 Today, the Lampman family continues to offer a warm, family oriented atmosphere at the funeral home, located on Canboro Road in Fenwick. With the increase in new construction and homes being built, it is comforting for families to know that we’ve maintained our small town heritage. John Lampman’s son, J Glenn, worked along side his father until the time of his death, then took over the family business and moved it to it’s current location in Fenwick.